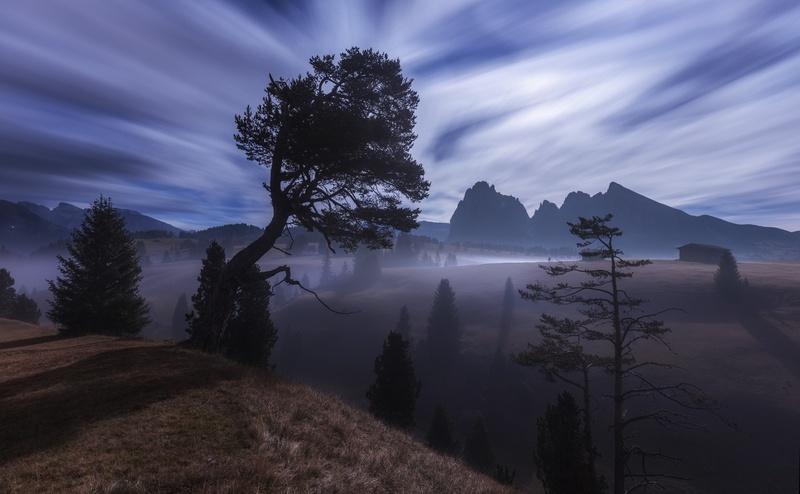 Seiser Alm in the light of the harvest moon. Congratulations on selection of Photo of the Day Richard. Have to say well deserved and it has a real moody atmosphere to it. A wonderful example of how you can put "motion" into a still photo. Love it!